Make some artwork of your own this autumn. As summer draws to a close, you may be wondering how you can make your home reflect the changes that are happening outside. Autumn is a time for cozy blankets, fresh air, and plenty of apple cider. So how do you dress your apartment to reflect autumn? Let’s take a look at some of our favorite autumn decorations. How often do you change out your artwork around your home? If the answer is never, why not change your apartment walls up by including some autumn themes? Look for nation themes with fall colors, abstract art with browns, reds, and burnt umber, or make your own using some picked fall leaves. For your own art, choose your favorite fall colored crayons and make a rubbing using some leaves. Frame your new art work and display it proudly in your apartment. Whether you spend all of your time in the living room or outside on the balcony, why not dress up these spaces with some fall style? Use cozy throw blankets, decorative pillows, or leafy garland to dress up space. Some fall-scented candles, like apple cinnamon or pumpkin spice, will help make space extra cozy. If you are situating these items on your balcony, make sure to bring them inside or store them when not in use. You can also fill your apartment with decorations you pick up at your fall fun events. Whether you bring back a golden leaf from a walk at the local park or a bunch of gourds from a visit to the farm, fill your apartment with some mementos of your fun fall outings. These elements will not only bring autumn inside; they will also help you decorate for the season. With a little help from the outdoors, your Harborside Village Apartment will be ready for autumn in no time! 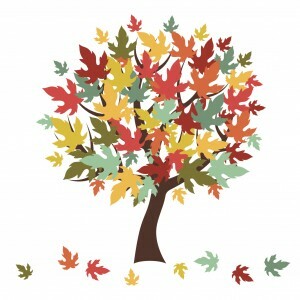 As summer draws to a close, why not spend the weekend getting your apartment ready for autumn. Check out some of our other autumn-inspired blogs! Decorating for Autumn with Harborside Village Apartments! This entry was posted on Friday, September 16th, 2016	at 6:34 pm	. Both comments and pings are currently closed.